The Museum of Mobile, otherwise known as Mobile's history museum, sits in the heart of historical downtown Mobile and hosts a variety of exhibits that explore the rich 300 year old history and culture of the city. an outdoor fine art show & market, that will take place the first Saturdays of March, April, May, and June. The objective of the market is to benefit and enrich art, culture, and tourism in the City of Mobile and surrounding areas, while at the same time providing self-representing working artists with a quality local event where they can show and sell their work. Invited artists will present an eclectic mix of quality original artwork in a variety of mediums, including painting, folk art, pottery, jewelry, fiber, sculpture, etc.. The site chosen for the event is right in the heart of Mobile's historic downtown district, in the green space on Royal Street between Government and Church, right across from the Museum of Mobile located at 111 Royal Street, and the Gulf Coast Exploreum. Also, please be sure to check back here or better yet, subscribe to on our blog/web site, to keep abreast of the latest market news, updates, and to learn more about our artists. 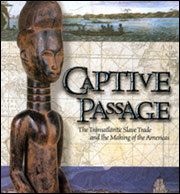 We encourage you to visit the The Museum's website to learn more about the fabulous Captive Passage exhibit and all that the Museum has to offer. If you are unfamiliar with the Mobile Downtown area, please check out the map at http://www.mobile.org/map_downtown.html for other fabulous attractions and things to see and do while you are in town. The Coastal Artisans is a self-representing collective of established working artists from the Mobile, Baldwin County, and Surrounding areas. Our mission is to present a broad range and eclectic mix of quality fine art and fine craft to the public, and increase art awareness and education in the community.